For one thing, I'm a big advocate for tinted moisturizers especially the MAC Studio Moisture Tint that I've been using religiously for the past 2 years for my everyday make-up routine. However lately, this MAC tinted moisturizer have me blot a lot more often than I would like through out the day which bugs me the hell out of me. Recently I've been wanting more coverage in the event for a more put together look. The reason I had left foundations in the first place is because I have not found any good luck with them at all. I never had a favorite for a long time due to my problematic skin (that's an understatement really). I have a sensitive/combination skin (oily T-zone with dry patches here and there along with sensitive acne-prone). It's extremely hard to not look cake-y and heavy when I have foundation on my face. 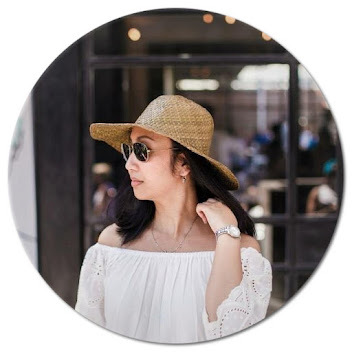 However, early this year, I started looking around for new foundation by reading reviews on beauty websites and blogs as well as getting color matched and samples from the stores/counters. 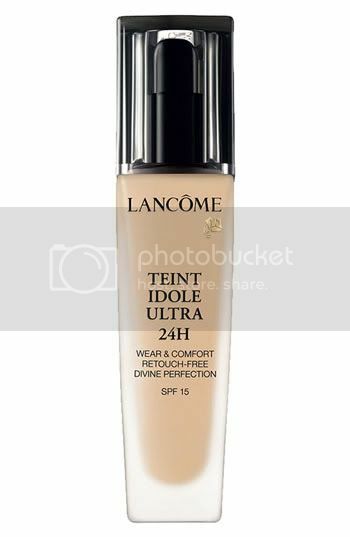 It boils down to this one: Lancome Teint Idole Ultra 24H foundation. No fading and lasts a long time (Although it says 24 hours, I only tested over 16 hours and it only needs minimal touch ups with my MAC compact powder). As you can see, the pros are overpowering the cons. In fact, I have no real issue with the cons at all. One thing to spend good money on is towards a great foundation. This is very true because if you have a great foundation, everything else (makeup wise) will just follow through. Secondly, I'd rather bring 2-3 less of other makeup items (lipsticks, eye shadows) to compensate the weight of this heavier foundation bottle. Lastly, the trick to apply this foundation is to blend it with your fingers. I literally tossed my MAC foundation brush and apply them with my fingers one area at a time after moisturizing the skin (just make sure your hands are clean before applying). Problem solved. Overall, I am loving this foundation and been using it everyday opting out from my MAC Studio Moisture Tint (sorry!). This foundation has such great coverage that I rarely use my concealer anymore unless I want that "perfect flawless" look for an evening out. My color is 410 Bisque W (slightly darker than my current skintone but I am planning to use this foundation throughout the Summer) and I set it with my MAC Mineralize Skinfinish Natural compact powder in Medium Dark. At any rate for anyone who's currently looking for a summer-time foundation, I would highly recommend this foundation to try out. Go to the Lancome counter at your nearest department store and asked for a color matched and a small sample to try. Good luck!